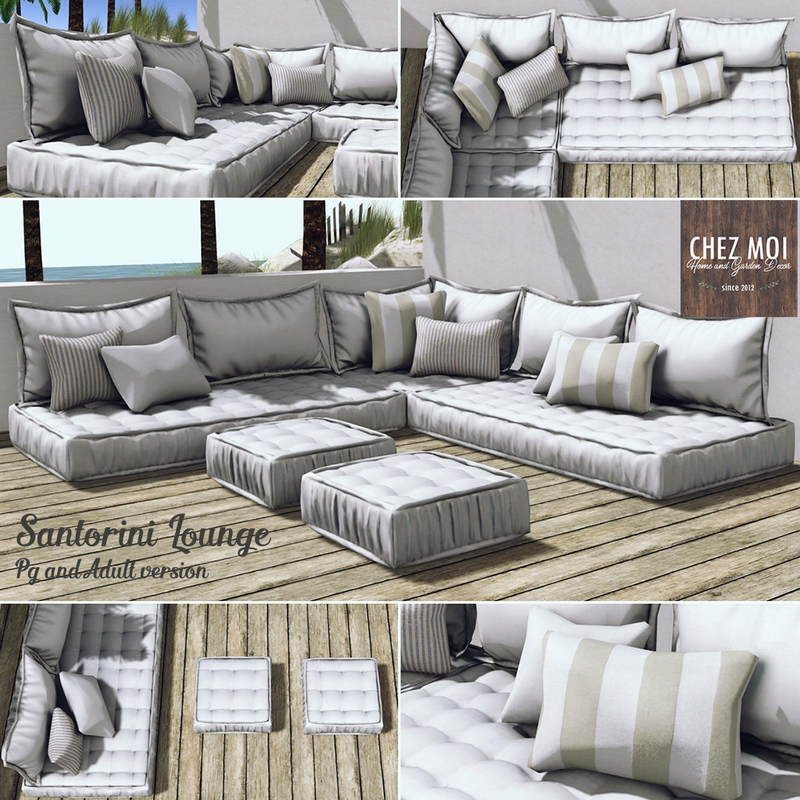 For the upcoming round of Tres Chic, CHEZ MOI created the Santorini Lounge Couch! 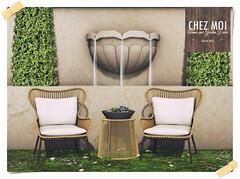 This release is exclusive and available for Tres Chic Event from June 17th to July 10th. 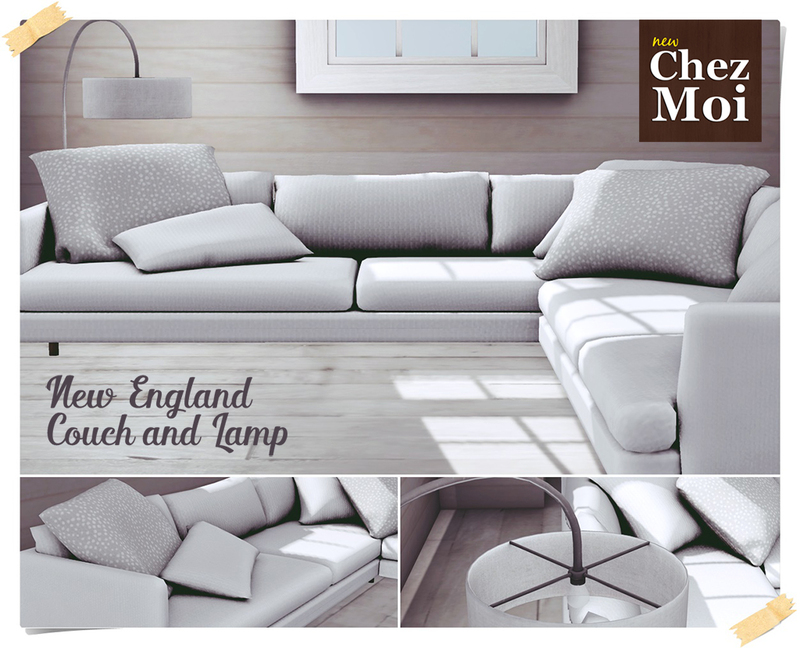 A modern look couch perfect for a big family! 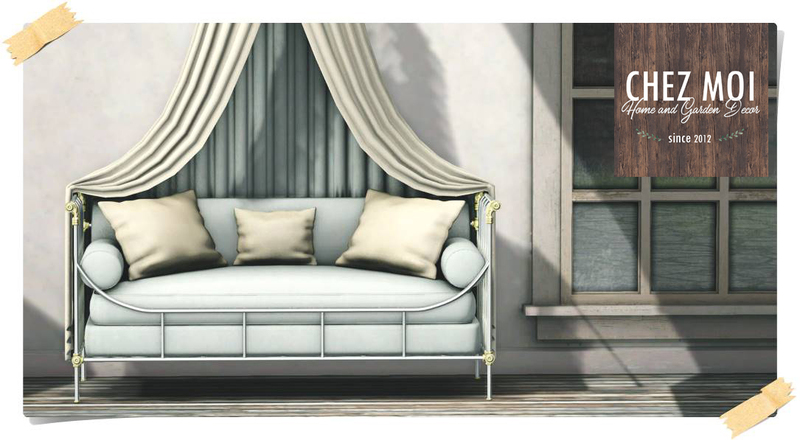 It has room for 1-4 people and it comes in Adult and PG version. 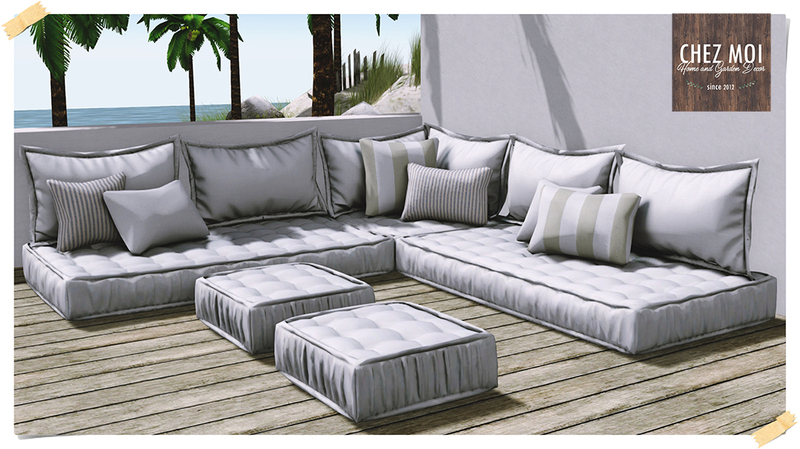 This release is exclusive and available for Deco(c)rate May! 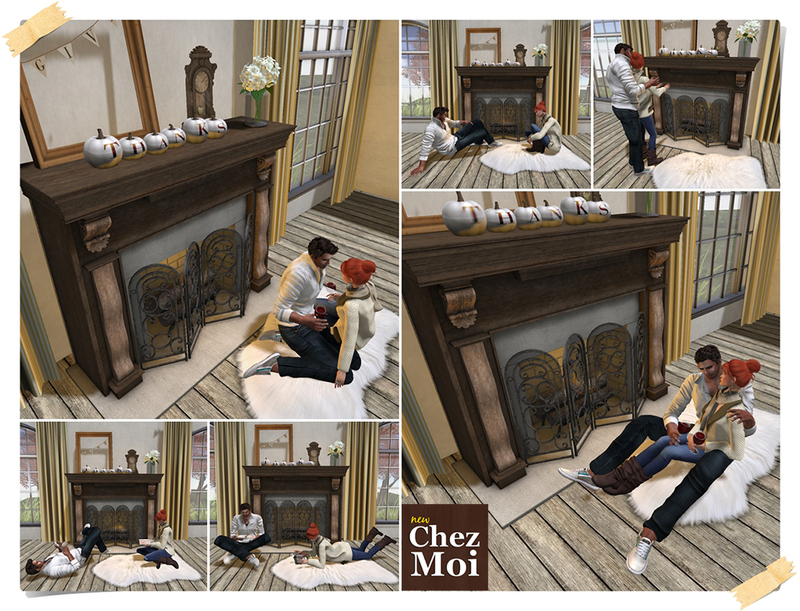 Give thanks for a little and you will find a lot! 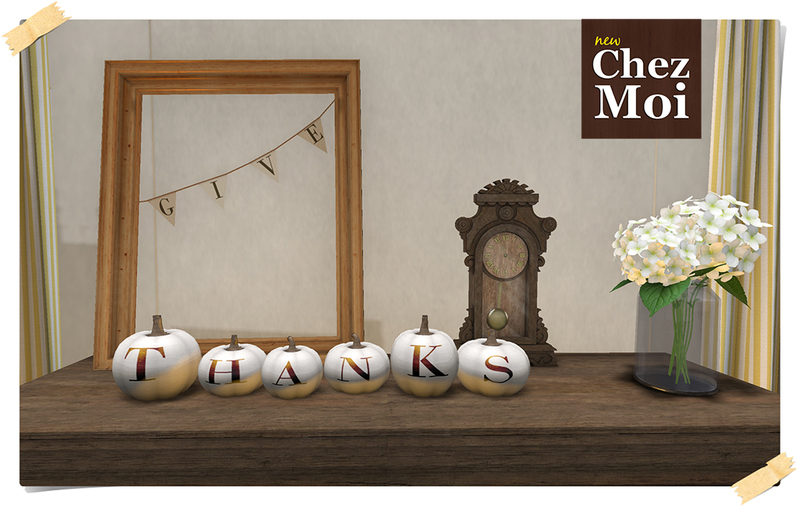 Either way everyone has something to feel grateful for and you can decorate your home to show how thankful you are. 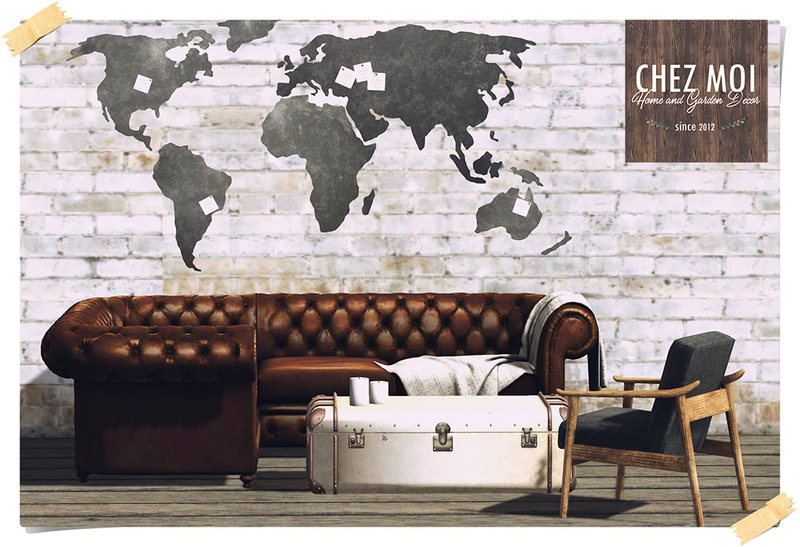 Check those new releases perfect for the holiday! 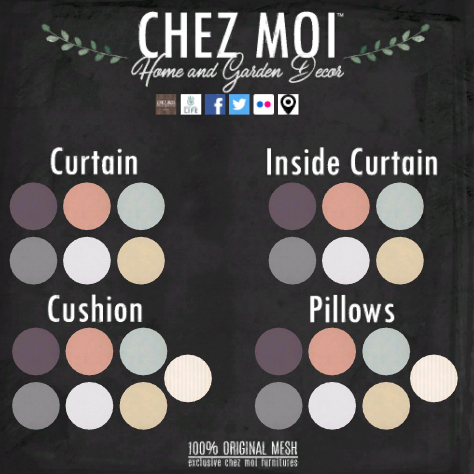 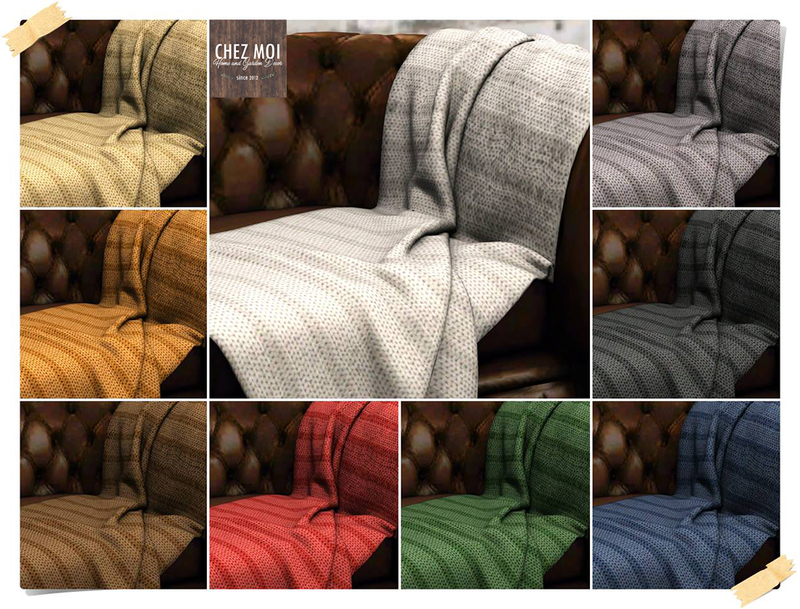 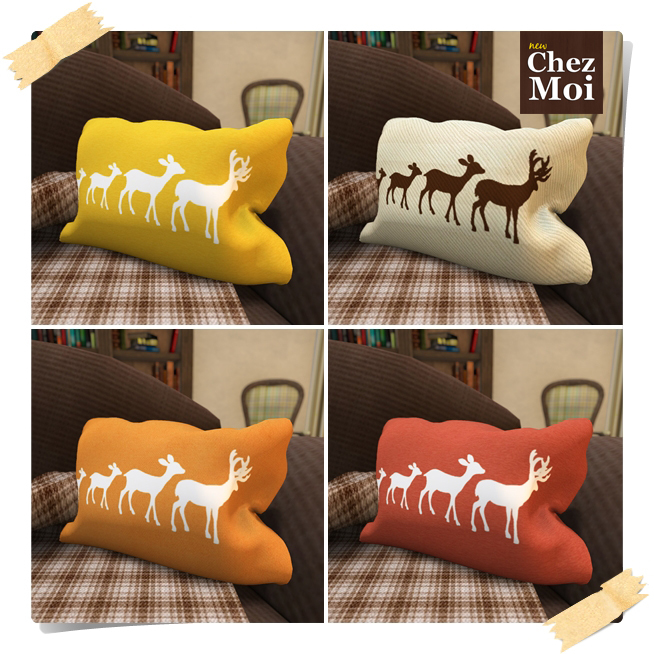 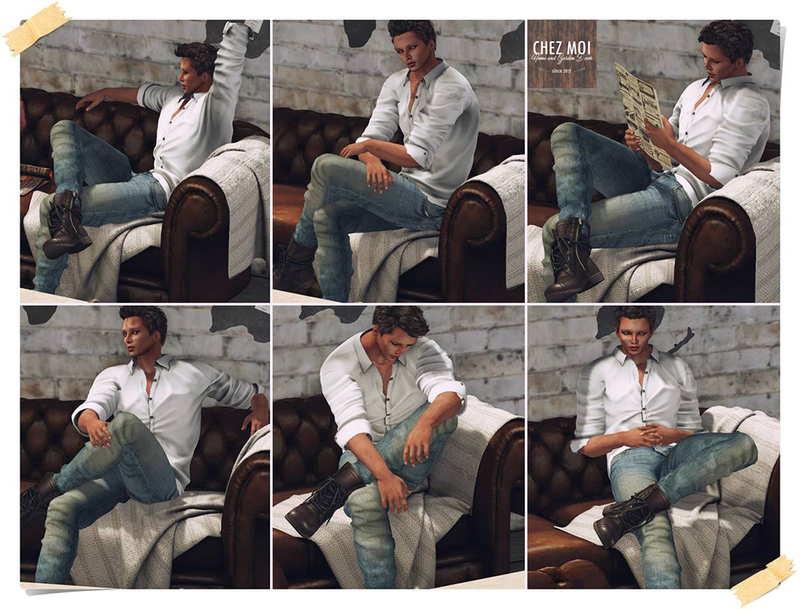 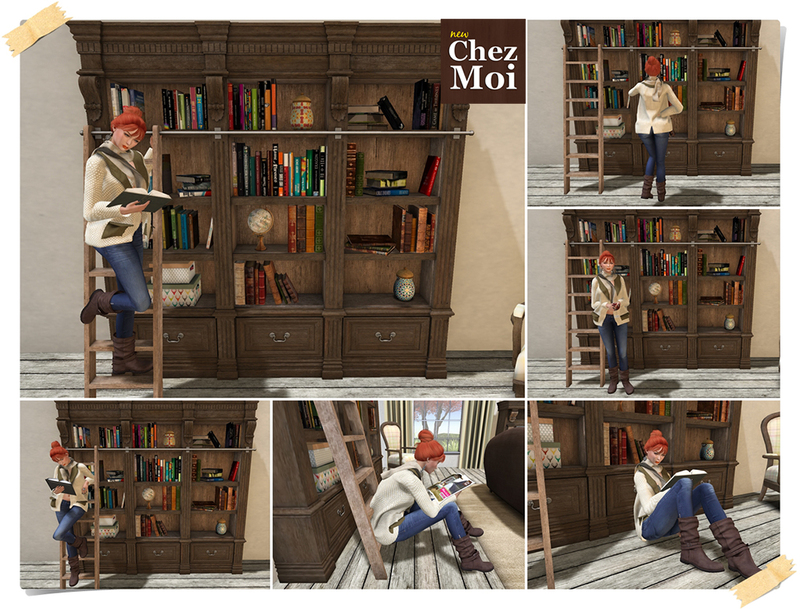 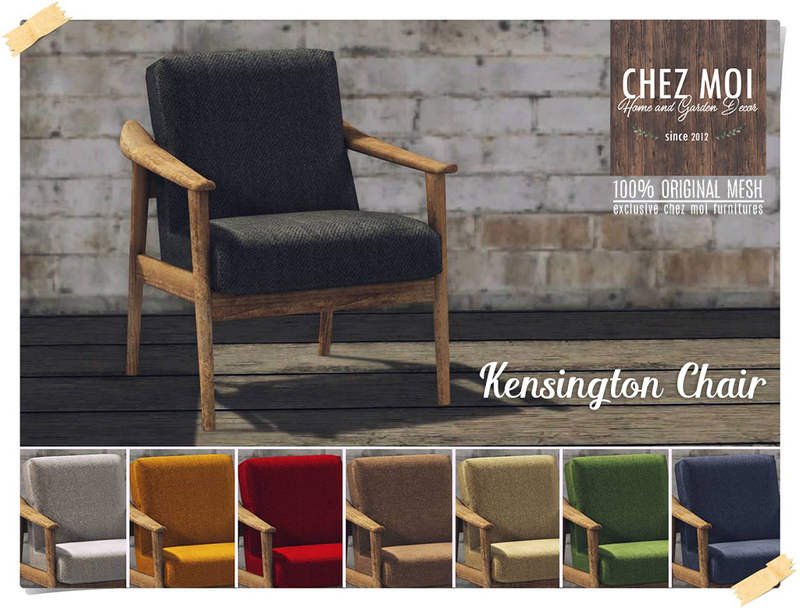 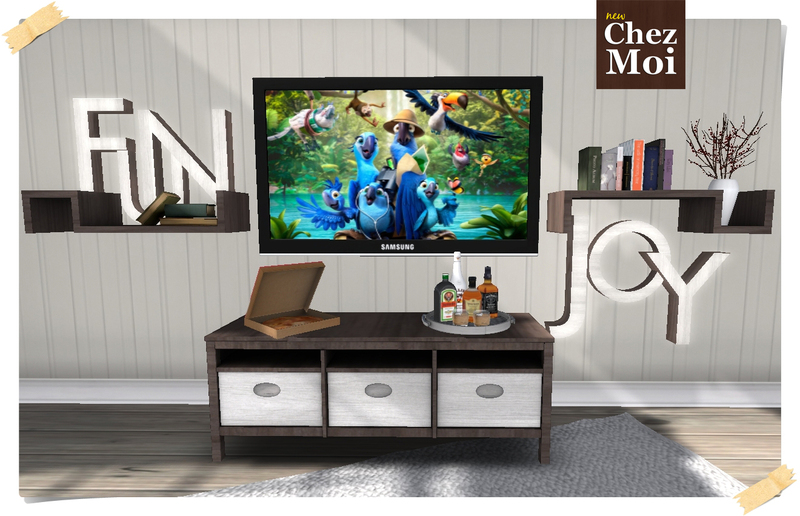 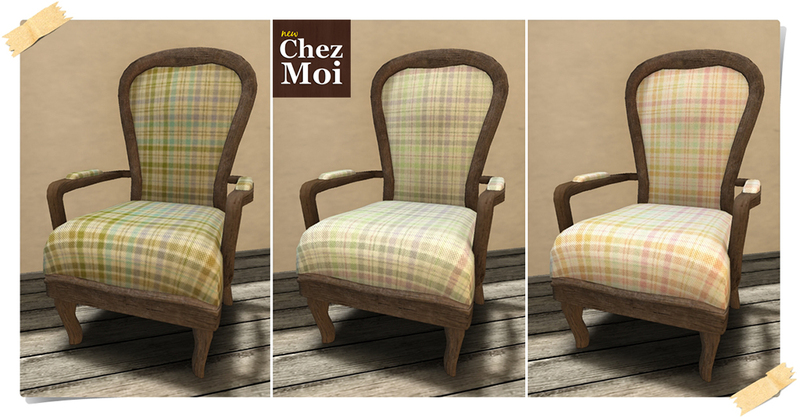 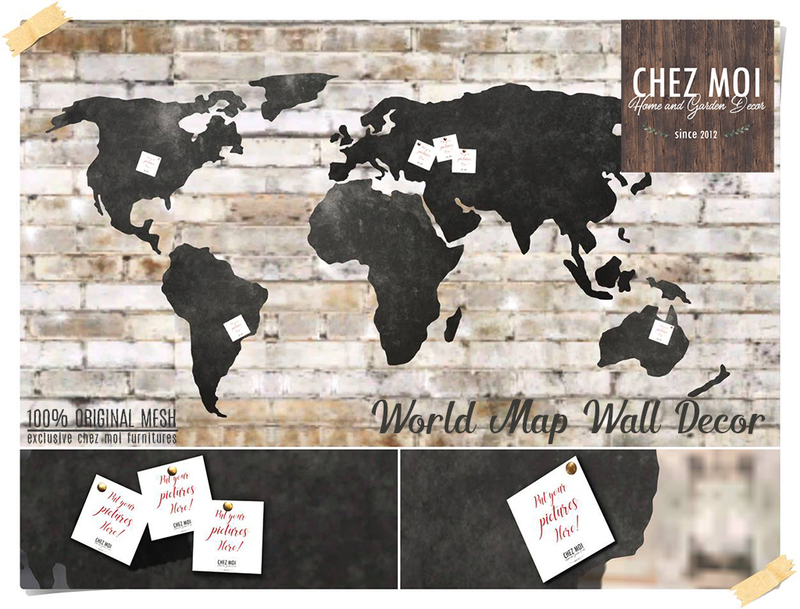 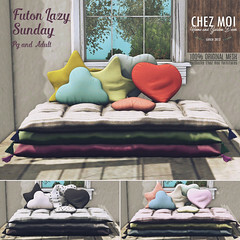 Click the picture to go to CHEZ MOI MARKETPLACE, or, for a closer look, visit our IN WORLD STORE. 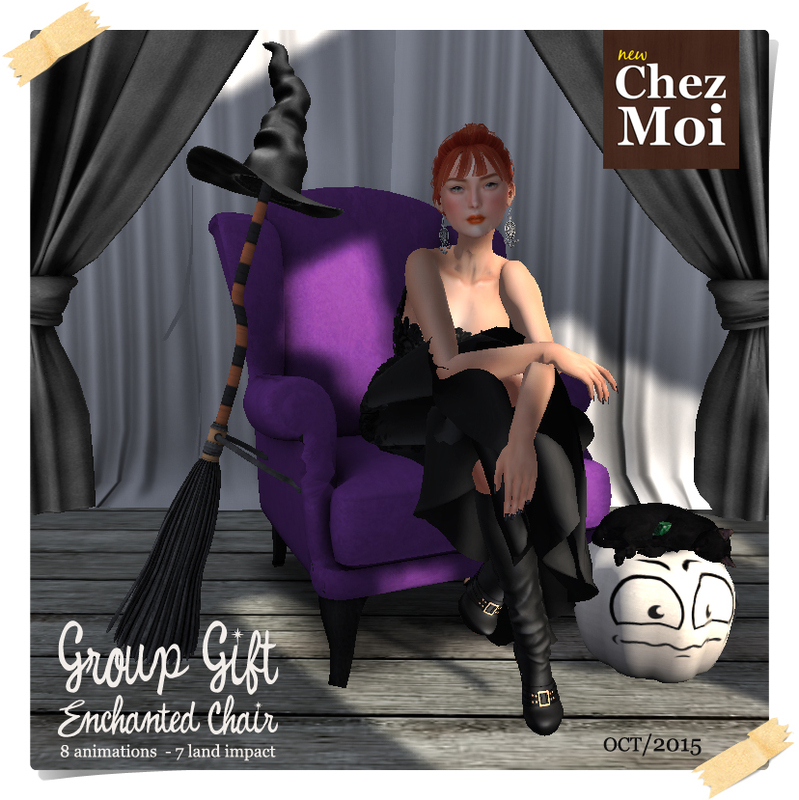 New and Spooky Group Gift CHEZ MOI! 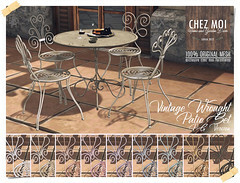 Enchanted and Purple Chair for Modern Witches and Wizards! 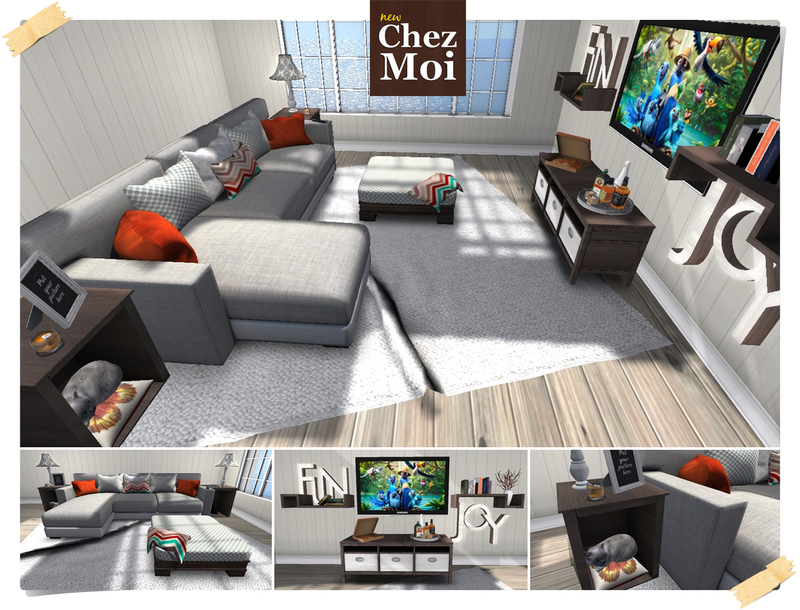 Join our Free Group Gift and get yours today at our main store inworld: CHEZ MOI INWORLD STORE.